Infographics are a powerful way to build links because they are so shareable. The way to share them is essentially to copy the link source and repost it on your blog. This allows one content type to provide dozens of links. In fact, legendary link builder Brian Dean listed guestographics as his favorite linkbuilding method of all time (recommended read). 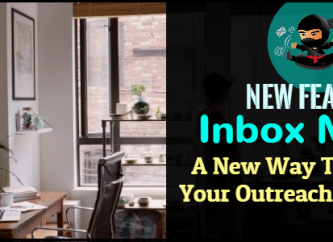 One effective way to find people who do infographics or guestographics is through the use of NinjaOutreach Chrome extension. You can run a search on Google with any of these advanced search operators and load it on NinjaOutreach Chrome extension so you will be able to save those leads into your list. If you don't want to use the Live Search, you can use the regular search and filters. First, we want to target websites with a history of posting infographics. 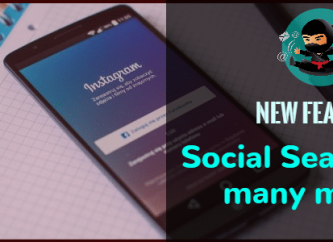 The easiest method is simply to use the search and the filter in our two tabs; Websites and Blogs and Twitter Influencers search. Just run a search for your topic, and then select infographics from the filter drop-down menu. I recommend setting the search to 5k because this filter will drastically reduce the results. This is because these data points are relatively new to the software, and the data is still being built up. You can also run a search with the keywords directly, for example, “Marketing infographic”. In this case, it is better NOT to put the filter on, because the exact match will already filter the keywords for you. Perhaps obvious, but it’s worth nothing - just because a blogger doesn’t have a history of posting infographics according to NinjaOutreach, doesn’t mean they won’t (or haven’t). It just means we didn’t find any. But they still might be worth reaching out to if they’re relevant. So feel free to use the above method but without the infographic restriction (filter/search term). 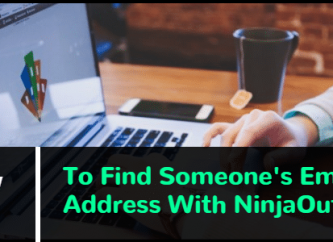 And These directions will show you how to effectively outreach in NinjaOutreach. All you need is a script specific to infographics. The idea here is to casually send an offer to show them the link, and, if they say yes, send it over with an offer to write a personalized mini guest post around it.